British-based equine vet Dr Bruce Bladon spoke at the 2016 Australian Veterinary Association’s Bain Fallon conference about castration and the misconception that the procedure will always go smoothly. He warns about the health risks to horses undergoing castration and how vets and horse owners need to work together to successfully manage them. 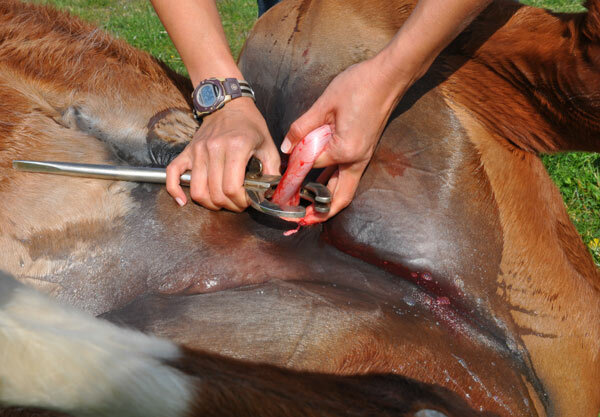 “Castration is seen as a routine operation but there’s an increased risk of infection and postoperative complications for any surgical procedure completed on a horse. And this is something owners need to be mindful of,” Bladon said. Bladon says that castration can be performed via the ‘open’ castration method or the ‘closed’ castration method, both of which can result in complications to the health of a horse. “The reality is that complications following castration is quite common and include swelling, haemorrhage and infection. There are of course effective ways to manage or treat these complications but what continually surprises me is the reaction of owners when their horse does have a complication following surgery. This unrealistic expectation that the horse will go in for surgery and come out completely fine is something veterinarians need to address from the beginning along with ways that owners can prevent post-surgery infection,” he said. Bladon says that swelling is the most common complication of castration, regardless of whether the open or closed method is used. Management to prevent the development of swelling is important and consists of exercise to delay wound closure until drainage has finished.